It was its setting that initially attracted me to Clare Clark’s In the Full Light of the Sun. I’m a sucker for novels set in my favourite cities: New York, Amsterdam and, in this case, Berlin. Based on the case of Otto Wacker, Clark’s novel explores the machinations of the self-regarding art world taken in by an audacious fraud against the background of the failed Weimar Republic and the rise of the Nazis. In 1923 Julius Köhler-Schultz, pillar of the art establishment, meets a young dealer, apparently respectful of his expertise and eager for his assessment of a painting he wants to sell. Julius finds himself falling under Matthias Rachmann’s spell, easing the misery of his acrimonious divorce with the balm of Matthias’ esteem. Julius is the author of a bestselling van Gogh biography whose American royalties have protected him from the ravages of rampant inflation. His dearest possession is a painting by the artist which his wife took when she left together with their son. As the relationship between the two men deepens, Matthias seeks Julius’ seal of approval for more artworks until an incident between Julius and a young girl strains it to snapping point. Emmeline is a talented artist who loses herself in Berlin’s decadent partying, eventually finding work as an illustrator in 1927. When she attends the opening of Matthias’ new gallery which proudly boasts a cache of lost van Goghs, she meets an aspiring journalist who scents a scandal and roots it out. By 1933 the Jewish lawyer who defended Matthias watches as Berlin falls into the Nazis’ grip, reluctant to leave yet fearful for his and his wife’s safety. As his work dwindles away he begins to examine Matthias’ case again. From her Author’s Note it’s clear that Clark’s novel closely follows the trajectory of the Wacker case, reimagining it and fleshing it out through three vividly realized characters from whose perspective she tells her story. Matthias’ duplicity is signaled from the beginning of his carefully fostered relationship with Julius whose public approbation he needs to enact his breathtaking fraud. The art establishment, with its tight-lipped unity in the face of Matthias’ hoodwinking, is smartly skewered and the depiction of Berlin’s streets full of brownshirts emboldened in their ant-Semitic abuse is chilling. Mid-way through I began to wander if Clark would manage to knit her three perspectives together but it works. An absorbing novel which perceptively explores human vanity while depicting a city on the brink of what will become a catastrophe for the world. This entry was posted in Reviews and tagged Art in fiction, Berlin, Clare Clark, In the Full Light of the Sun, Twentieth century historical fiction, Virago on 20 February 2019 by Susan Osborne. After one war novel too many – I should never have started Toby’s Room when I did – and a weekend of giving up books I was sorely in need of a palate cleanser on Monday. Billed by Virago as having ‘shades of Joanna Briscoe and Maggie O’Farrell’ Olivia Glazebrook’s second novel seemed like it might do the trick although it has to be said I have been caught out by that kind of comparison before. It opens with Eliza’s announcement that her piano teacher once knew her parents, news that seems innocent enough but it soon becomes clear that this is a past coming back to haunt you kind of novel making it far from comfortable news for her father. Told through a blend of flashbacks and present day, Never Mind Miss Fox smoothly switches points-of-view between Clive, Martha and Eliza. Clive emerges as something of a misfit, a far from cool teenager who grows into a weak, self-absorbed man. 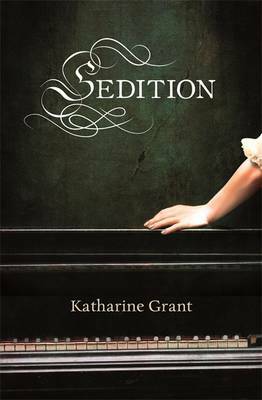 Martha, much brighter and self-assured, finds herself overwhelmed by motherhood, desperate to return to work until an accident involving Eliza throws her into a pit of guilt. Eliza, bullied at school, conceives a gigantic crush on Eliot Fox much to the horror of her father. As the past emerges the full extent of Clive’s involvement with Eliot becomes clear and his attempts to stop his daughter from seeing her again have sobering results. 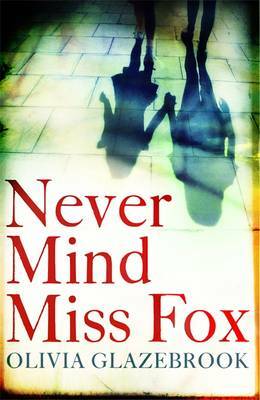 Never Mind Miss Fox engages from the start and keeps that engagement going through its strong characterisation as well as a driving need to find out what happens next. Clive is the kind of man who makes a cup of tea for himself when there are two people in the room, seeing only the threat Eliot poses to his own future rather than how much she means to his vulnerable daughter. Martha’s change from successful translator, constantly in demand, to guilt-ridden mother perpetually unsure of her daughter’s love is convincing – the only weak link being what she’s doing with Clive in the first place. Eliza’s upset, worry and puzzlement at what is happening between her parents is poignantly and compellingly conveyed, no mean feat when writing from a child’s point-of view. 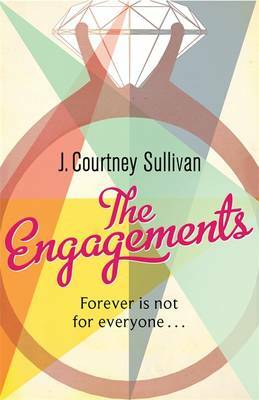 This is a novel about betrayal which steers deftly clear of a clichéd revenge tale, exploring instead the far more interesting territory of the emotional fallout that surrounds it. It doesn’t quite have the gripping quality of an O’Farrell novel – for me she’s the master of dual narrative suspense – but it’s a satisfying afternoon’s read that comes close. I’m feeling refreshed and ready to start again. Do you sometimes hit a jaded patch in your reading and if so how do you get over it? This entry was posted in Reviews and tagged Books, Contemporary British Fiction, Never Mind Miss Fox, Olivia Glazebrook, Virago on 12 February 2014 by Susan Osborne.